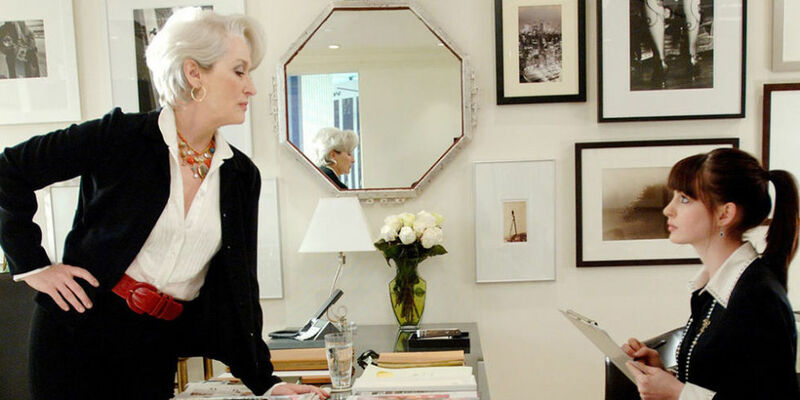 At the end of January, the theatre world was taken by storm as the news was announced that the 2003 book and 2006 iconic film, The Devil Wears Prada, is being adapted into a Broadway musical. Although no date has been given yet, it has been confirmed that Elton John, along with Paul Rudnick, will be penning the show which was first announced as being in development back in May 2015. Yes indeed, very soon New York theatre-goers will be able to see the infamous Miranda Priestley herself in the flesh, the role which has been forever immortalised by three-time Academy Award winner Meryl Streep. But how do such movie adaptations actually fare when they hit the stage? The answer to this is quite mixed. On the whole, films adapted into musicals tend to be well-received. The Walt Disney Company alone have a considerable collection of popular stage adaptations of their films: Mary Poppins, Aladdin and the lesser-known Newsies all had successful runs, and of course the company’s shining star is The Lion King, which has been running on Broadway for over 19 years, and on the West End for 17 years; in 2014 it was named the highest grossing production ever, with worldwide earnings of $6.2 billion in ticket sales alone. However, Disney wasn’t so fortunate with its adaptations of Tarzan and The Little Mermaid on Broadway. Tarzan, which opened in 2006, cost somewhere between $12 and $15 million and received widely negative reviews. It closed after 14 months and 486 performances and was a commercial failure for the company. The Little Mermaid performed a little better, lasting for 19 months and 685 performances, but it still received terrible reviews. Outside the Disney universe, some adaptations have found great success. Mel Brooks’ The Producers, based on Brooks’ 1968 film went on to win 12 Tony Awards and 3 Olivier Awards. Monty Python’s Spamalot, ‘lovingly ripped off from’ Monty Python and the Holy Grail, was also a hit with both critics and audiences. After debuting in 2005 on Broadway, the most recent UK touring production only finished in 2015. Some Broadway productions, such as Legally Blonde the Musical, actually do better in the UK. It played for over two years in the West End, and is a popular choice for amateur dramatic companies. Clearly the critical reception of a musical bears some correlation to the length for which it runs, both in New York and London. However, there are some cases in which this seems unjust. The Lord of the Rings, based on the novels and Peter Jackson’s film trilogy, is the most expensive production in West End history, costing £12.5 million. It received mixed reviews, but more importantly, most audience members, including Kevin Spacey and Dame Judi Dench, thoroughly enjoyed this spectacle of a show (I was lucky enough to see it in the summer of 2007, and it was dazzling). Despite this, the show was forced to close in 2008, due to bad reviews, after running for 13 months and 492 performances. The losses made, due to the initial cost of staging the production, meant it was considered an expensive flop, even though audiences thought its closing to be an incredible shame. So what does this mean for The Devil Wears Prada? I’m sure, with the talents of Elton John on board, that Broadway audiences are in for a treat, especially fans of the film. But, as we can see, critics hold a significant power over a show’s success. Will they like it, and will it succeed? Only time will tell.